YouTube video: FoxwoodsLive.com WPT Main Event Preview! 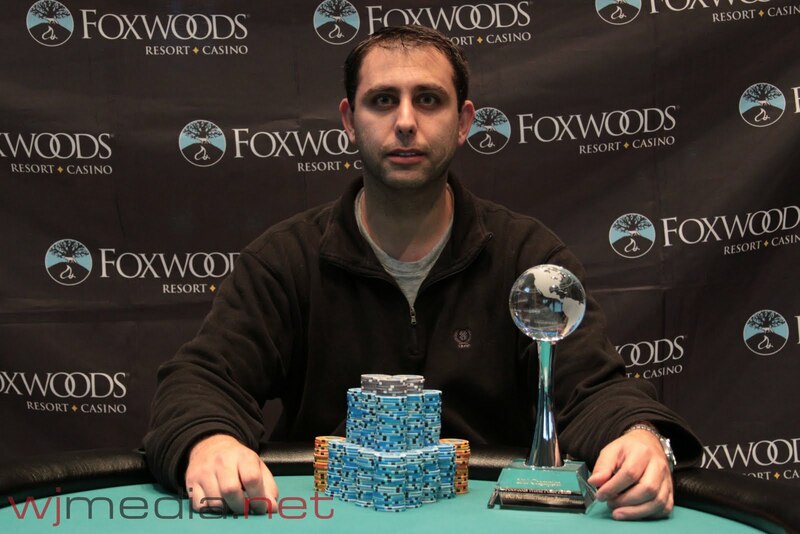 Jay "WhoJedi" Newnum talks about what to expect from FoxwoodsLive.com during the $10,000 World Poker Tour event that kicks off tomorrow at Foxwoods. 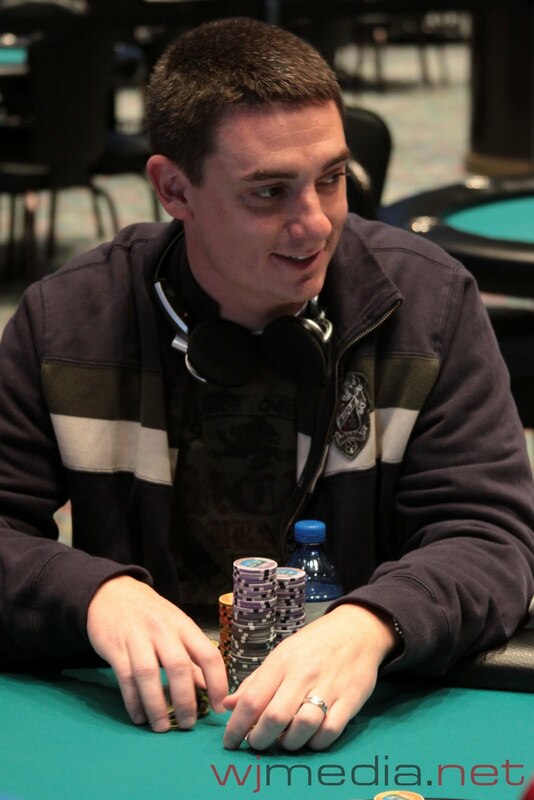 Louis Ciccotto Wins the $500 Bounty Event! 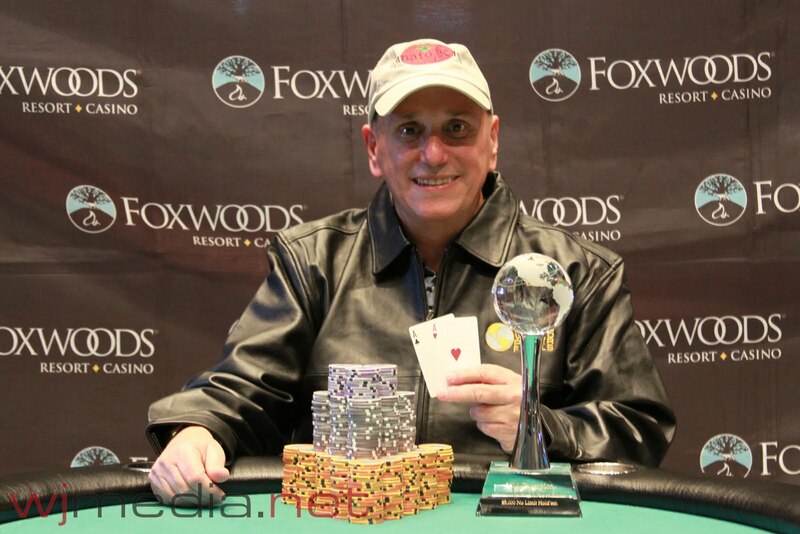 The $500 No-Limit Hold 'em event is over and Louis Ciccotto is the winner. He outlasted Susan Mariano in a heads-up match that was back and forth. He takes home the trophy, leather jacket and $13,456. The final ten players had come to an agreement on chop with money left on the table to play for. $10,000 WPT Main Event Kicks Off Tomorrow! The $10,000 buy-in No-Limit Hold 'em World Poker Tour Main Event at the Foxwoods World Poker Finals kicks off tomorrow at noon. Players start with 30,000 in chips and levels are 90 minutes in length. The final table of the $500 No-Limit Hold 'em Bounty event is about to get underway. Larry Lipman Wins the $5,000 NLHE Event! 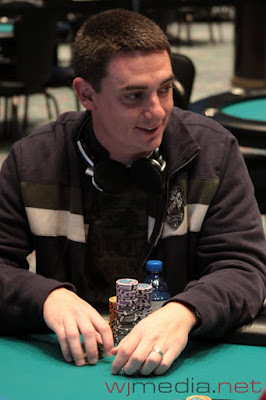 After Larry Lipman and Steve Barshak got heads-up, Lipman took a commanding chip lead and the two agreed to deal. Steve Barshak takes second place and $61,380. 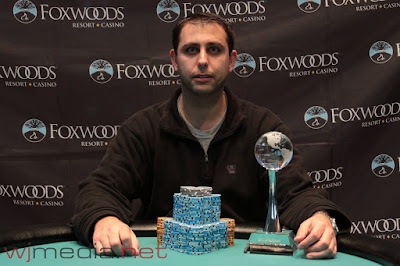 Larry Lipman is officially the champion of the $5,000 NLHE event. He takes home the trophy, leather jacket and $66,381. We have reached the final ten players in the $500 NLHE Bounty event. The board ran out [Kh][Ks][Th][Jh][8s] and Barshak's nines held up to win the pot and eliminate Campbell in 3rd place. 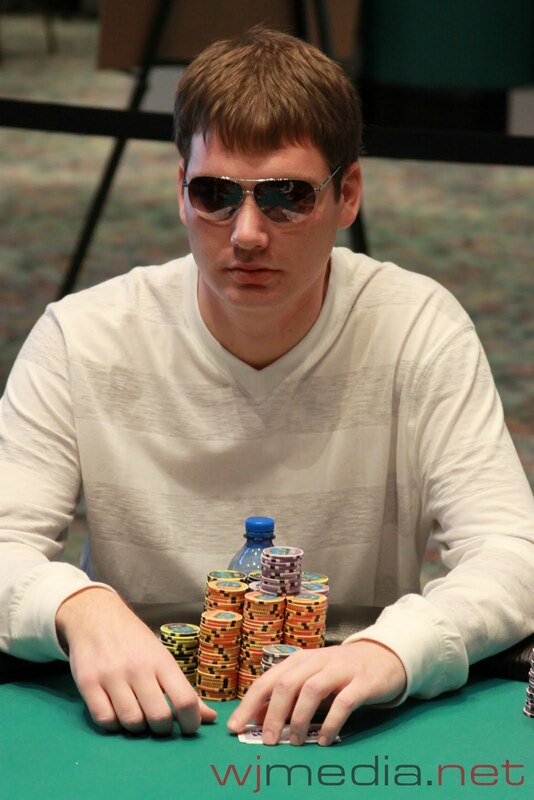 Jake Bazeley moved all in from under the gun for just over 150,000. Steve Barshak then moved all in behind him. 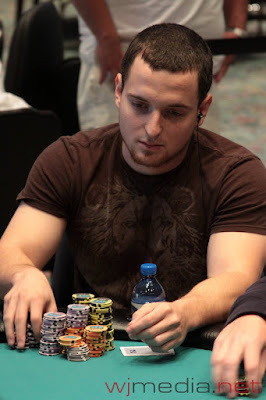 James Campbell and Larry Lipman both folded and Bazeley and Barshak turn up their hands. The board ran out [8d][8h][3d][Qc][8s] and Barshak's kings held up to win the pot and eliminate Bazeley in 4th place.